Deputy Commissioners job New Recruitment Notice published today ! There are two New Deputy Commissioners job circular in this post. Jhalakathi.gov.bd Job circular noticed on my website at ejobscircular.com . 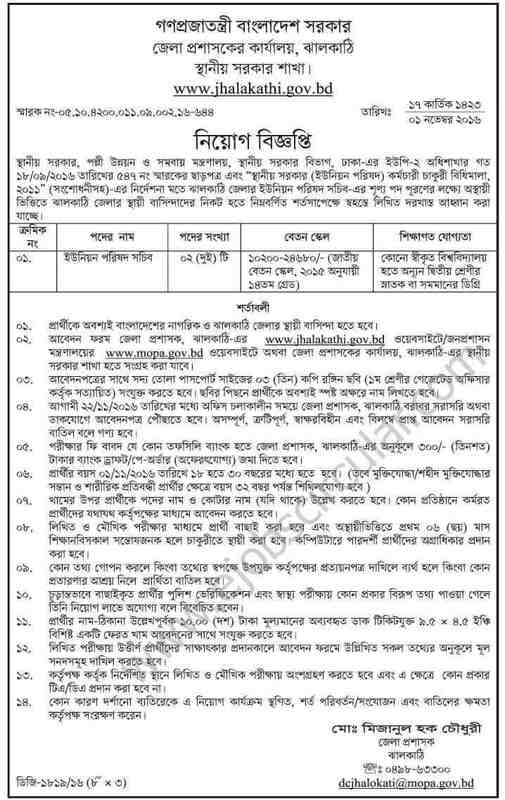 You can also see tangail govt job circular here. Check Below this Two New Deputy Commissioners Jobs published by Daily Newspaper jugantar and Observerb . Tangail.gov.bd Govt Job circular Notice 2016 short information are shown below..
See Below the more information .. Check Below Another Deputy Commissioner Job circular published by Daily News paper Jugantor. Hope You Read this two New Deputy Commissioners Jobs News on my website. Stay with Us for More Govt and Non Govt Jobs News. Thank you.